If you would like to use your tablet as a FPV monitor for your DJI Phantom 4, then you have come to the right place. This article is dedicated solely to that topic. 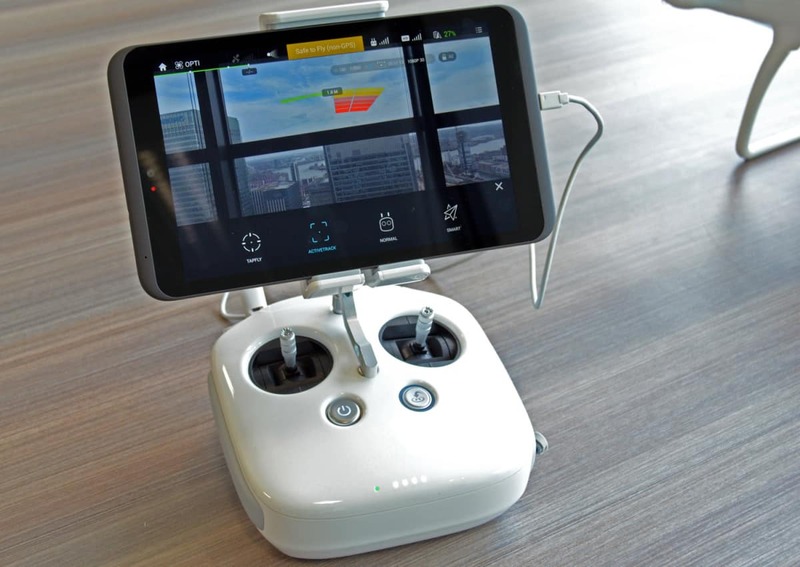 So, in the next couple of lines I’ll do my best to introduce some of the very best tablets for DJI Phantom 4 and DJI Phantom 4 Pro, these tablets can be effectively used to view live FPV footage from your Phantom. In addition to that, I’ll also tell you a bit more about the features you can expect from the DJI GO app as well as certain issues that might occur. Let’s kick things off and start with the important stuff! Does DJI Phantom 4 support tablets? DJI Phantom 4 comes with a new, improved controller that has a lot of added functionalities. In comparison to DJI Mavic Pro’s controller, you will be surprised to see a mount that supports fully fledged tablets as well as all smartphones. This is, of course, huge news for people who already own a tablet since they’ll be able to use it straight out of the box. For those of you who don’t own one, you will have the chance to see plenty of details about the best ones on the market. In terms of software support, unfortunately things are not looking perfect… at least when it comes to the Android side of market. You see, DJI GO app is not fully optimized for certain Android devices. This essentially means you will not be able to download it via the official Google Play Store. Still, that does not mean you can’t install it. In order to do so, you will have to download the .apk from a third-party website and force-install it onto your device by checking “install from unknown sources” button in your device’s settings menu. When it comes to iOS devices, things are looking much better. With full GPS support that allows you to change auto land location on-the-fly, you will be properly set up straight out of the box. Despite all that, I still don’t think purchasing an iOS tablet or iPhone just for the sake of having full DJI GO app straight out of the box is the right way to go. If you already have one, then you’re settled – use it and I can assure you, you will be satisfied with the results. On the other hand, if you don’t own an iOS tablet, I think the best way to go is Nvidia’s Shield K1 tablet. Not only is it a great choice when it comes to display and hardware quality, but it also features a HDMI port which allows you to seamlessly connect FPV goggles to your P4 without needing to purchase Litchi app. The first and foremost answer to this this dilemma is screen size. Tablets, obviously, have much bigger screens than smartphones which allows you to see live feed with more details involved. The second thing that also works in favor of tablets is that they’re normally not your day-to-day drivers. This means you’ll still be able to use your daily driver (smartphone) for calls, web surfing, messaging and all that good stuff… while your tablet does all the hard FPV work. Now here are a few things that work in favor of smartphones. First off, all modern-day smartphones have GPS, cellular data and access to wireless networks, while tablets usually have just 2 of those. This can be a huge issue, especially if you’re thinking of using all DJI GO app features such as return to home location setup and similar. Ideally, you can always create a hotspot between your devices, allowing your tablet to have internet access which will greatly enhance your overall flying experience. So, if you ask me which is better to use with drones, tablet or a smartphone… I wouldn’t be able to give you an outright answer since it depends on particular devices that you have as well as your needs in terms of flying. 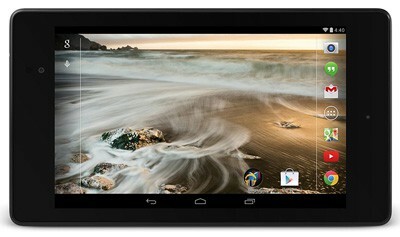 Our list starts off with a steady Android tablet – the Google Nexus 7 by Asus. This was an outright beast in its days. But, keep in mind that time took its toll on this old guy. By the way, I am talking about the improved, upgraded version that came out in 2013 and not that brick from 2012. 2013th version packs quite the punch even for today’s standards, at least when it comes to basic tasks. It sports a clean, relatively thin design which will slide comfortably into P4’s controller without any issues. Hardware-wise, it features a 1920 x 1200 display and runs on Snapdragon S4Pro chipset with a Quad-core 1.5 Ghz Krait CPU and Adreno 320 GPU. While GPU is a proper bottleneck, you still should not experience any stuttering in DJI GO app… unless you overburden it with a ton of apps that’ll use up most of its 2 gigs of RAM. In terms of using this little bugger as your FPV monitor, you won’t stumble upon any issues. Even though it does not have full support for DJI GO app, the experience is solid and there’s virtually no stuttering. All in all, if you don’t own a tablet and your smartphone’s screen size is just too small, then Google Nexus 7 can give you what you need relatively cheaply. When it comes to Android tablets, there is no doubt Shield K1 by Nvidia is the best one out there. That’s not only because of its spectacular hardware but because of the fact it features a mini HDMI port. Hardware wise, Nvidia Shield K1 runs on a Cortex A15 @2.2 Ghz with a Tegra K1 chipset and ULP GeForce Kepler that incorporates 192 cores. In addition to that, the whole build is spiced up with an IPS LCD capacitive display that sports a cozy 1920 x 1800 resolution with cca 283 pixel density. With a sleek design and decent battery life (5200mAh), it is safe to say Nvidia created a proper gaming tablet. But, despite gamers being the primary target audience, I am sure many people bought Shield K1 for one simple reason – to pair it up with their drones and enjoy smooth FPV experience. 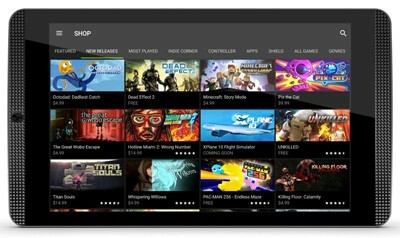 If that’s what you are looking for, then Nvidia Shield K1 is definitely a no-brainer. Needless to say, it is an incredibly powerful device that will suit your cravings for gaming and drone piloting all in one. All in all, if you are looking for a great all-around tablet for gaming, drone piloting and even casual work, then Nvidia Shield K1 is all you need! And finally, we have come to the best tablet for DJI Phantom 4. Like you could’ve guessed from the introductory paragraph, an iOS tablet was destined to take the number 1 spot. That’s because Apple’s products generally have better performance and GPS connectivity in combination with DJI’s drones, especially this one. Apple iPad 2 gives you enhanced features with the most important one allowing you to change your default home position on-the-fly. In addition to that, you do not have to worry about any kind of stuttering since iPad 2 is packed with proper hardware. It might not be on par with Android tablets in term of raw power, but I’m sure you all know that Apple does a much better job with software-hardware optimization. With all that in mind, it comes without a single doubt that Apple iPad 2 is one of the best tablets for pairing up with DJI Phantom 4. While some of you will have an initial problem with its display (it’s only 768 x 1024), I’m pretty sure you will get used to it after a first few test flights. 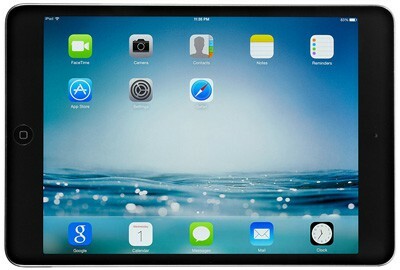 All in all, if you opt for the iPad 2 I can assure you – you are making the right decision! If you are thinking of going for a smartphone drone combo, then you cannot get any better than one of Apple’s flagships. I’m sure you’ve all heard about the amazing iPhone 7 Plus. It’s the pinnacle of Apple technology and provides its users with the ultimate smartphone experience. 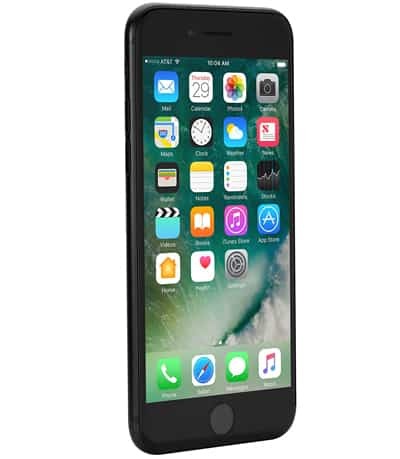 Even though most of pre-release connotations were extremely bad and aimed towards its lack of a 3.5mm jack, iPhone 7 Plus still received praises from a wide number of users. True. Accessories are rather expensive and so is the smartphone itself… but that’s what makes Apple be Apple. But in the end, you get exactly what you pay for. Extraordinary design packed in a sturdy metal case under which you can find state of the art chipset and all following hardware. It’s what’s on the inside that makes iPhone 7 Plus a worthy smartphone to combine with drones. 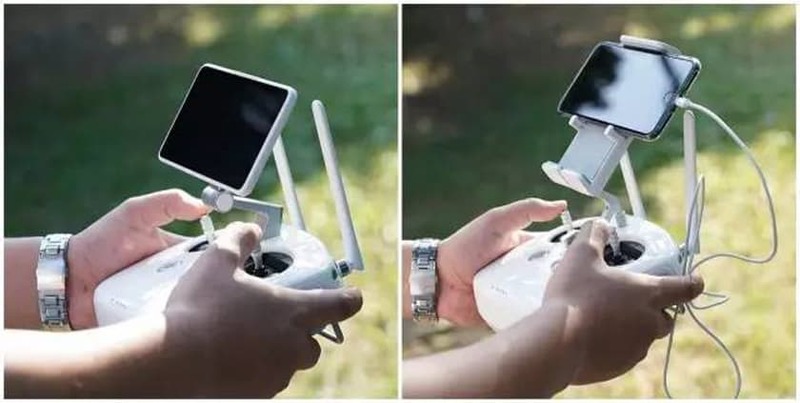 Not only does it possess a super high quality 5.5-inch full HD display but is also just 7.3mm thick which enables you to effortlessly mount it onto DJI Phantom 4’s controller. Full DJI GO app support is present and phone’s brightness is more than capable of giving you great image even at direct sunlight. If you are an Android fan but you don’t want to settle for those mainstream Galaxy flagships, then LG has a go-to model for you. Their newest premium model is called G6 and plans on taking the smartphone market by storm with excellent hardware and breathtaking display. We are talking about a 1440p display (1440×2880 to be more precise), 5.7-inch display which has roughly 564 pixels per inch density. With that being said, if you’re looking for the very best screen from your FPV monitoring smartphone, the it is safe to say they don’t come much better than LG G6. Luckily, the screen isn’t the only virtue of LG’s flagship. It also comes with IP68 waterproof certificate, corning gorilla glass 5 back panel and runs on the newest Android 7 Nougat. In terms of performance, there’s nothing to worry about here since LG G6 runs on Snapdragon 821 chipset and powerful Adreno 530 GPU. DJI GO app works without any issues and you can be sure there will not be any weird stuttering while navigating through menus or enjoying live feed. So, with that in mind, if you’re thinking about going for LG G6, I really don’t see any reason why you shouldn’t. Even though LG G6 took a lot of effort to create a great alternative to Samsung’s premium models, Galaxy S8 had other plans. 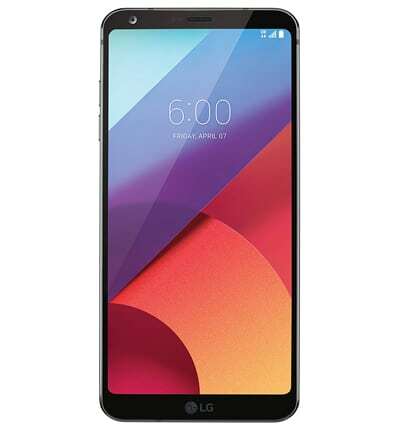 You see, this aesthetically pleasing 5.8-inch smartphone with edge-to-edge display and groundbreaking 1440×2960 resolution (yup, slightly better than LG G6) simply swept all competitors aside. Despite Samsung’s recent explosive issues (batteries were a huge issue on their Note model), customers have still recognized the sheer quality of their next gen flagship. 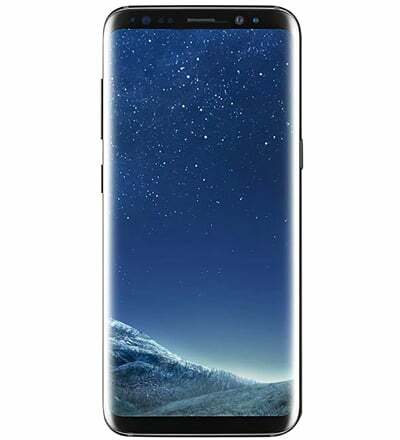 Galaxy S8 is powered by either Exynos 8895 Octa or Qualcomm MSM8998 Snapdragon 835 in combination with Mali G71 MP20 or Adreno 540 (depending on your region). With such powerful hardware inside, there’s no doubt Samsung Galaxy S8 can run DJI GO app in its full glory without any frame drops or other trivial issues. It fits into the dedicated smartphone/tablet tray on DJI Phantom 4 controller with ease so there’s no worry in that department. But, there’s a small issue that you should know about – considering this model has edge-to-edge display, those clips that hold it in place could annoy some of you. It’s not a big deal in the long run, but those of you who are perfectionists will not be able to look past it.